This statue of a shirtless Indian -- which reports dub the Muffler Man -- can be found at the entrance of Riverhead Raceway, located at 1797 Old Country Road in Riverhead. 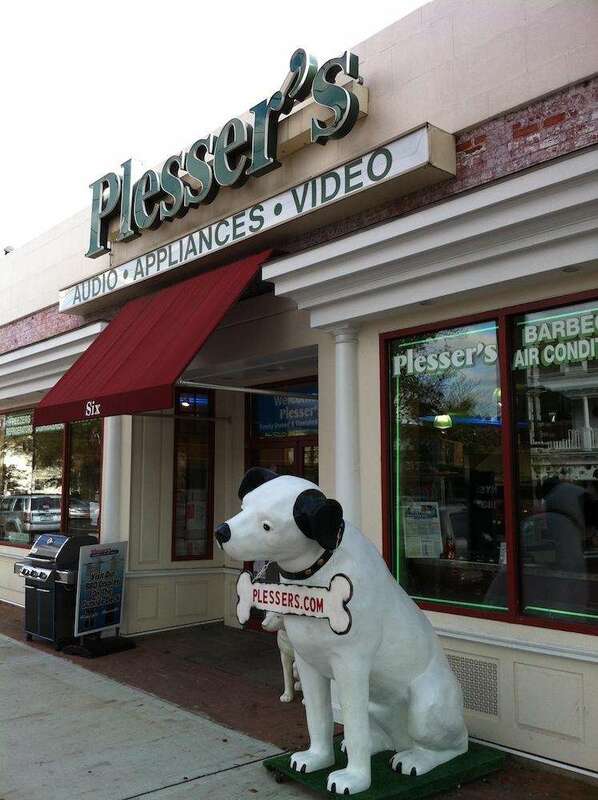 "Nipper" the dog, an attraction that hails from Buffalo, can be found standing tall, about 6-feet tall, in front of Plesser's appliance store, at 6 E. Main St. in Babylon. To date, there have been about 20 versions of "Nipper," which is the original RCA Victrola mascot. It's been around since the '50s, originally as a 30-inch display handed out during a promotion. Two large swordsmen stand at the entrance of Italian restaurant Casa Basso, at 59 Montauk Hwy. in Westhampton. The 18th-century castle where diners can feast on manicotti, veal cutlet Parmigiana and chicken Marco Polo, among other items, is a family-owned and -operated business established in 1928. 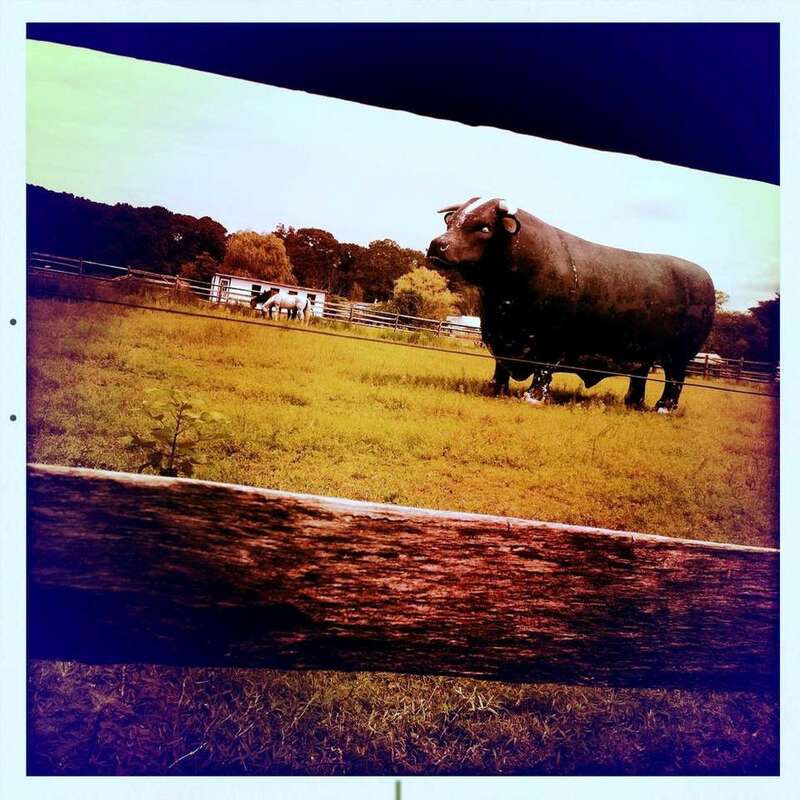 On Wading River Manor Road in Calverton, a statue of a giant bull can be seen on a private farm through the slats of the fence. 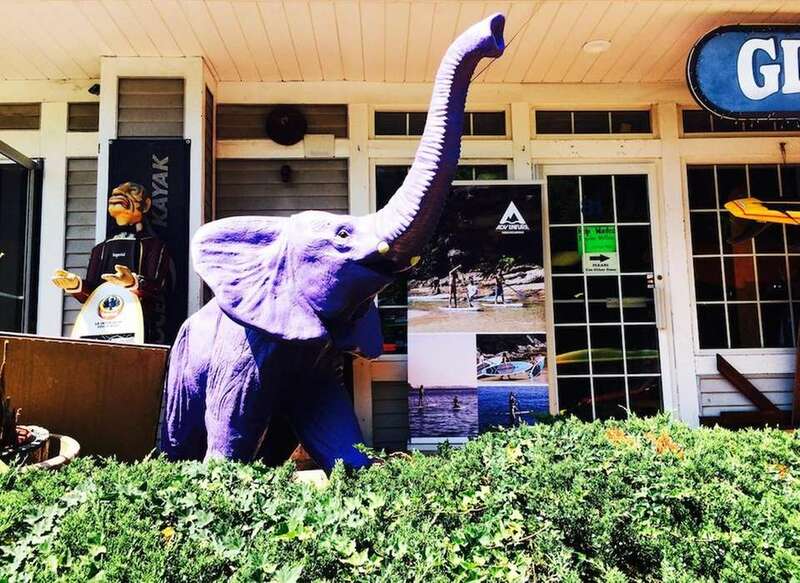 This colorful elephant statue can be seen raising his trunk toward passersby on a quiet section of Fort Salonga Road in Northport. Why is he there? He's actually the mascot of The Purple Elephant, a gem of a restaurant specializing in vegan and Latin cuisine. The restaurant itself may be hard to find at first, but its mascot definitely attracts attention. Yesterday's Treasures is a unique shop, located at 1547 Rt. 27 in Southampton, that sells life-size fiberglass statues and bronze sculptures, including dinosaurs, turtles, elephants and even Jesus. In 2013, a car left the roadway and smashed through more than a dozen of the dinosaur creations, causing about $40,000 in damage. The only dinosaur untouched was a 30-foot-long, 10-foot-tall T-Rex. 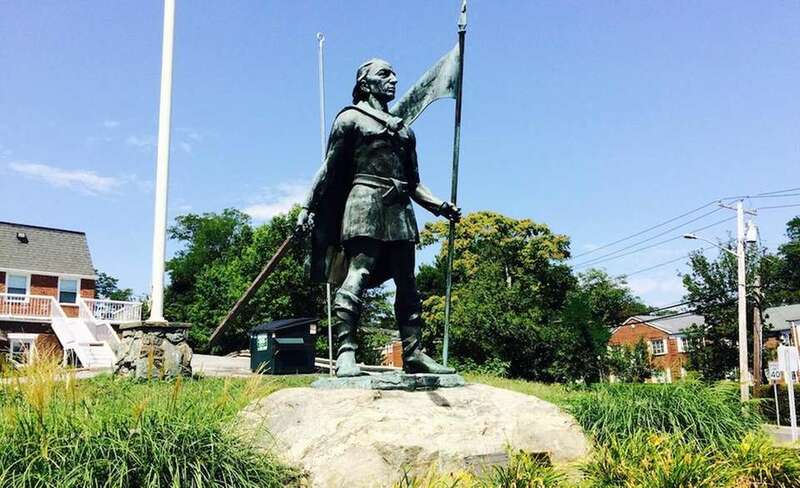 This statue of Christopher Columbus towers over the intersection between Main Street and Lawrence Hill Road in Huntington, also known as Columbus Plaza. This stylish hot dog man can be found in front of the Food and Fun Deli on Wellwood Avenue in West Babylon. Food and Fun isn't like other ordinary delis -- this small roadside eatery also has an array of toys and collectibles for sale. The Witch's Hat is a town-designated landmark in Aquebogue. The structure was built in the 1920s as a vegetable stand. 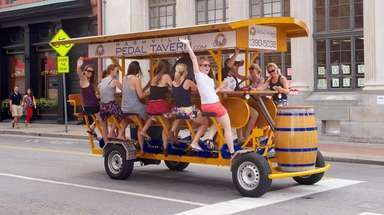 Since then, it has served as a spot for various peddlers, including the Girl Scouts. 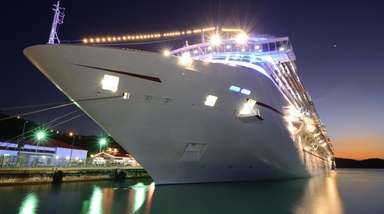 The Sphinx was built by Capt. Will Graham in the early 1900s as an attraction for the Anchorage Inn in Bayport, which he owned until the inn burned to the ground in the 1920s. The Sphinx was then moved inside a gas station that was built on the site that the Ferri family operated until 1973, when they sold the land to Power Test. Workers bulldozing the gas station in 1974 accidentally severed the head of the Sphinx from its body. Lou and John Fontana, owners of Fontana Concrete in Bayport, restored it and set it in front of Fontana Concrete in 1983 as a memorial to the inn and its builder. The Brewster Burial Grounds in Copiague have grave sites that date from around 1800 to 1873. Some graves are dedicated "in memory of the first Native American families of Long Island and those known only to the great spirit." Others honor Civil War veterans. Here is the grave for Sidney Brewster, which is one of three graves carved in the early 1950s out of concrete blocks by mason Richard Brewster. Protected by a pavilion, an old statue of Hercules can be found near the water along Main Street in Stony Brook. 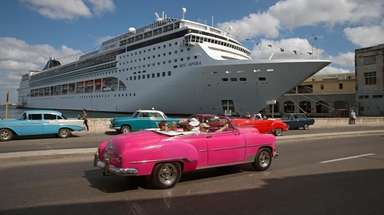 The colored figurehead of the Greek mythological hero was attached to the front of a U.S. Navy boat, the U.S.S. Ohio, in 1820. The ship, the first to leave the Brooklyn Navy Yard, was involved in a wreck in the late 1980s. But the ship's figurehead, anchor and whaleboat were preserved and brought to Stony Brook. A statue of Teddy Roosevelt stands in Oyster Bay, after its unveiling Saturday, October 29, 2005. The statue was relocated to a mini-park in 2010. The 2 1/2-ton sculpture is a copy of one in Portland, Ore., honoring the area's most famous resident in his Rough Riders uniform. Need a tree to go? This drive-through florist shop combines foliage with portability, and even -- when it comes to palm trees -- rentals. It's all headquartered at this Massapequa store which is not, despite its product offerings, any kind of a branch location. A 70-foot by 50-foot sculpture greets drivers as they enter the Hamptons. 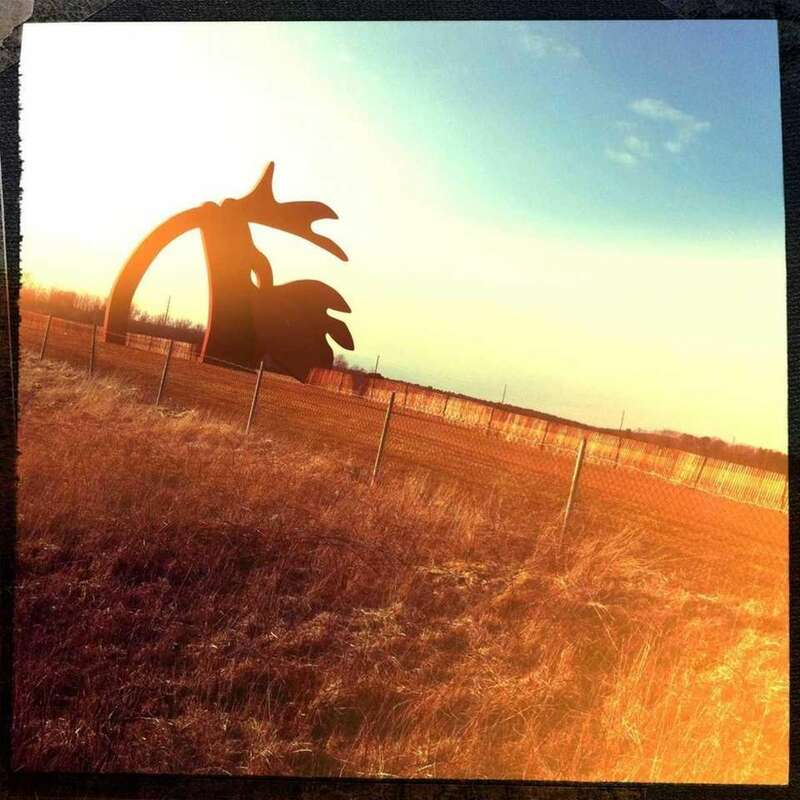 The Stargzaer, created by artist Linda Scott in 1996, is a deer looking up at the sky. Originally, the stucco sculpture was commissioned by the Animal Rescue Fund in East Hampton. It was meant to straddle the driveway, and cars would drive through its legs. The Town of East Hampton's building department denied the proposal because of pressure from the town board and members of the public who felt Stargazer was dangerous because of its proximity to the airport on Daniel Hole's Road. The sculpture found its home on a local farm. Built in 1931 by Long Island duck farmers Martin and Jeule Maurer, the Big Duck was an eye-catching shop where the Maurers sold their Peking Ducks to passing motorists on Riverhead's West Main Street. In 1936, the Maurers moved the building to Route 24 in Flanders. 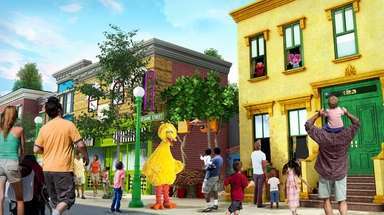 The Big Duck is listed on the National Register of Historic Places. Roadside architecture that represents the goods sold in the building is now known as "duck architecture" in honor of the Big Duck. Artist Nova Mihai Popa made his house a work of art. Shaped like a barrel, the "green" house was designed sometime between 1986 and 1991. 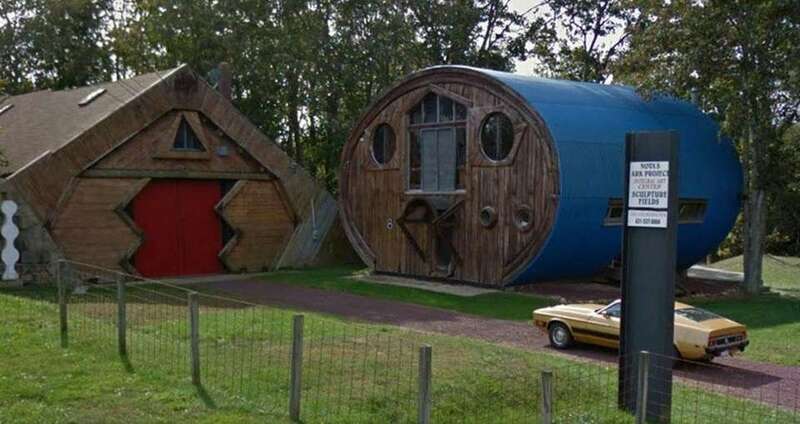 Nova's Ark, also known as the Barrel House or the Elliptical House, is a handcrafted, sculptured home, made with recycled wood. 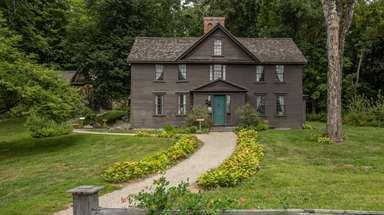 It's located at 30 Millstone Road in Water Mill, where Popa established a studio for educating young artists in 1986. Popa founded The Ark Project, Inc. in 1993 to express his concept of "Integral Art." As a result, Nova's Ark is a part of a 95-acre preserve consisting of sculpture fields, galleries, performance spaces and workshops. 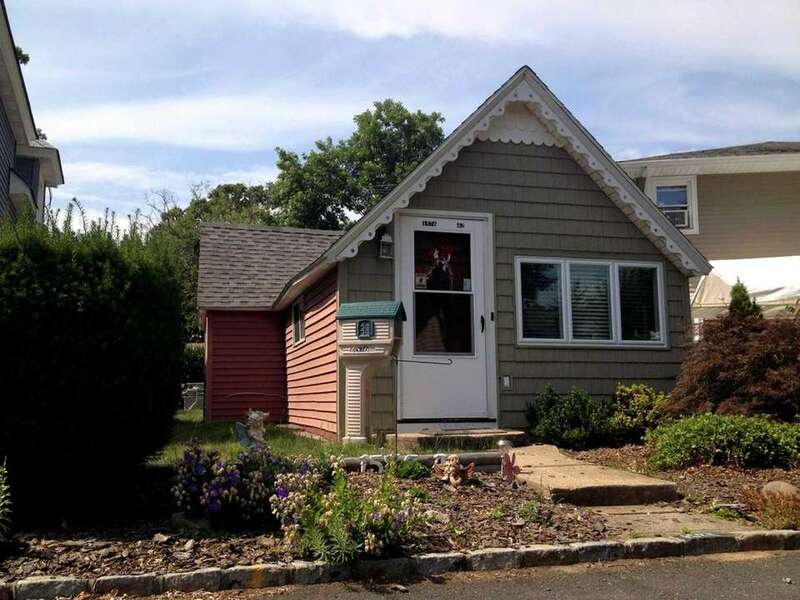 In North Merrick there are a series of narrow circular roads that hug small cottages, some no more than 12 feet wide. The neighborhood is known as Tiny Town, or Campgrounds. It arose from Methodist summer revival camp meetings held by the Long Island Camp Meeting Association beginning in 1869. The cottages, which would rent from $30 to $50 a summer, became year-round homes after the meetings were discontinued in the early 1900s due to declining interest. 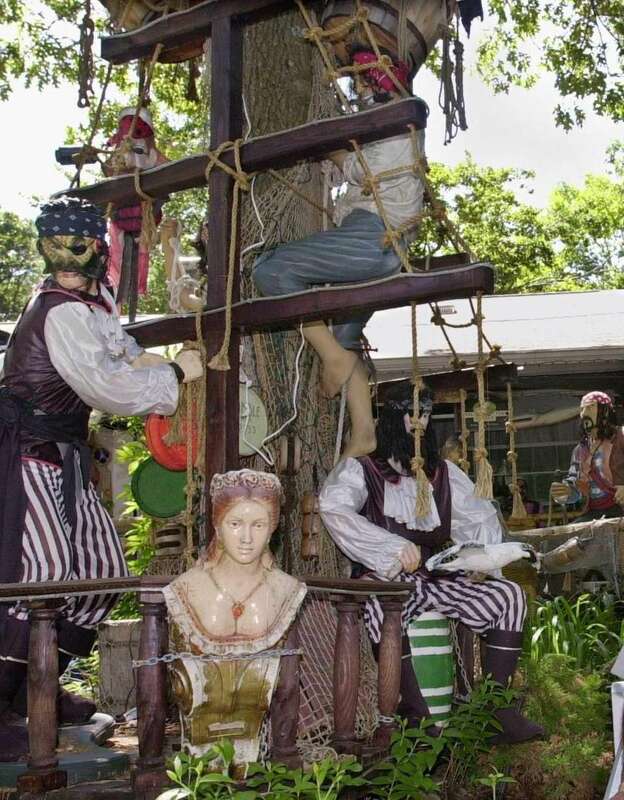 This Miller Place house, owned by Dennis Connor, is fully adorned with pirate decorations. Connor's daughter Janet developed severe mental impairments after she was in a car accident while vacationing in Hawaii with the family, according to Long Island Oddities. While visiting Disney World on another family trip, the Pirates of the Caribbean ride brought Janet happiness, and Connor decided to decorate his home with whatever pirate memorabilia he could find. Even if you're not looking to purchase seafood, a visit to Atlantic Seafood Fish Market in Center Moriches is a must. Thanks to its large tooth-lined awning, the fish market has become a photo-op location for locals. 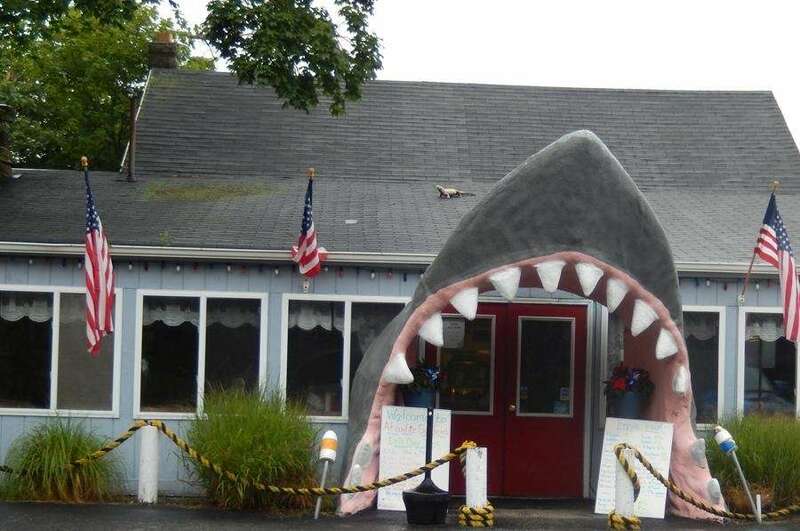 Shoppers have to walk through the jaws of a giant shark to shop for fish within the beast's belly. Centerport is home to the world's largest dead fish — a skin-mounted whale shark. The giant whale shark was caught off Islip waters on Aug. 9, 1935. Visitors can view the preserved and recently restored fish at the Suffolk County Vanderbilt Museum. 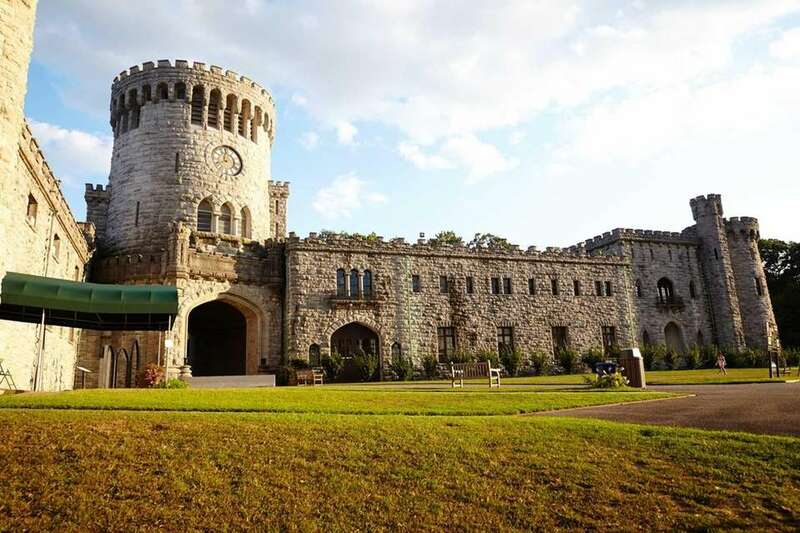 A castle resides within Sands Point Park and Preserve off Middle Neck Road in Port Washington. Built in 1902, Castle Gould is actually a replica of Ireland's Kilkenny Castle. The estate welcomes visitors with a museum shop and six trails for hiking. A witch made of metal and scrap wood peers down on shoppers from above Wicks Nursery in St. James. But Winnie the Witch isn't just around for the Halloween season. Winnie, a leftover seasonal decoration, was built in 1976 and has stayed perched on the nursery's rooftop ever since. In the middle of an intersection in Smithtown, you'll find a large statue of a bull. 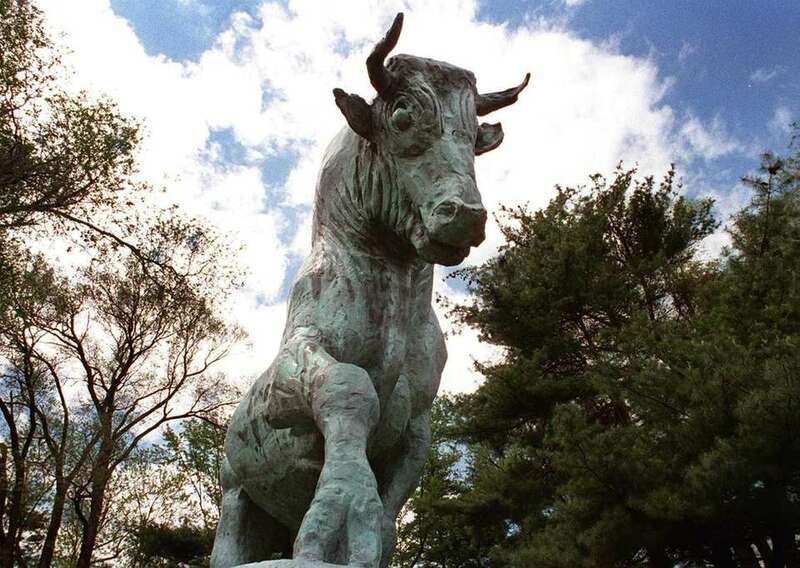 The 14-foot-tall bull, built in 1941, commemorates the founding of Smithtown by Richard Smythe. The bull represents the legend that Smythe obtained the land during a bargain with the Indians. Smythe supposedly made a deal that allowed him to keep all of the land that he was able to ride through, while on the back of a bull, in one day. The once-bronze bull shows its age, now appearing a green-and-blue hue. The New Hyde Park McDonald's is known for more than just its burgers and fries. It's also the site of a historic mansion from the 19th century. 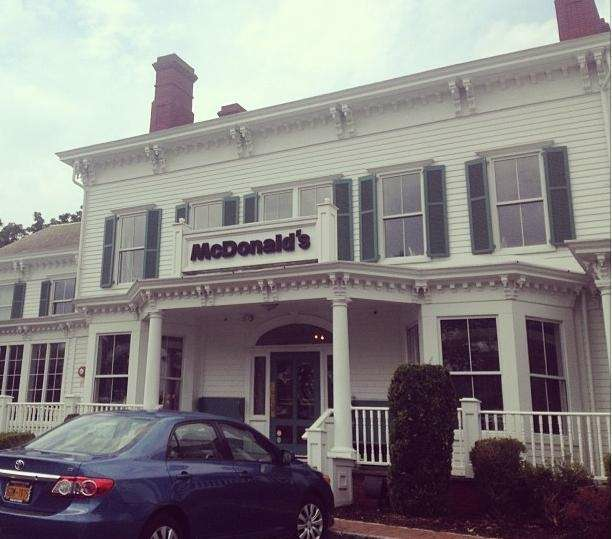 Because the Colonial-era home is considered a local landmark, McDonald's was not allowed to completely demolish it. 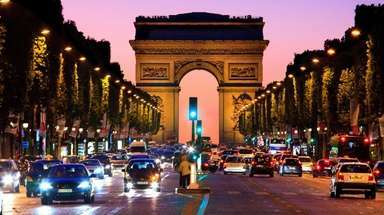 Instead, the interior was converted into a fast food restaurant and the exterior was restored. 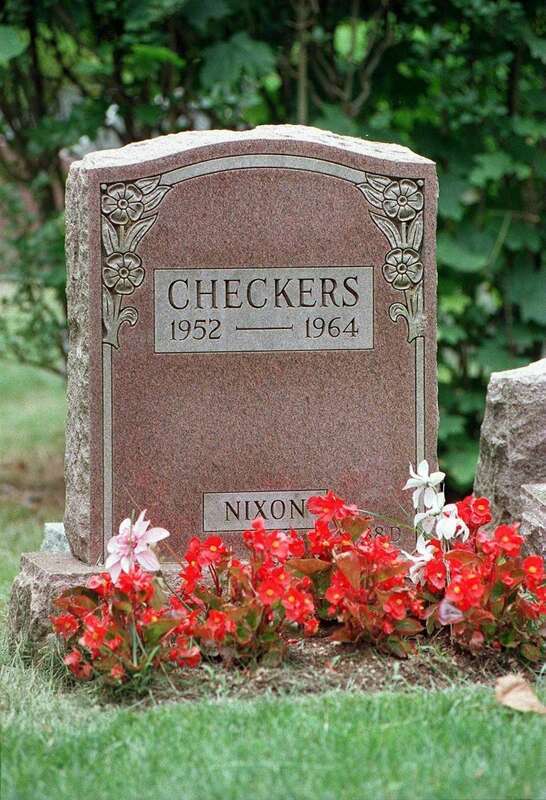 Richard Nixon's well-known cocker spaniel, Checkers, was buried in Wantagh's Bide-a-Wee Pet Cemetery in 1964. Long Islanders still visit Checkers' tombstone and place small American flags on the plot.